It doesn’t take too many pints or “pleases to get an Irishman singing, and I’m finding that pretty much all Irishmen can sing beautifully!! After our visit with artisan butcher Peter Whelan of The Whole Hogg Farm outside of Slane Ireland, we stopped into the Hilltop Pub where they prodded this lovely man Brendon, into sharing a wee Irish tune. Just lovely! Cody…Obviously, you are having a wonderful time! I do enjoy your posts. Take care of yourself. cody we are enjoying your visit to slane.hope you are too.keep up the great work. What a lovely impromptu performance! Keep these little gems coming! We love it! Hugs! How fun Cody! We miss you and loved hearing this Irishman sing! Thanks so much Gloria! Miss you guys too and have been thinking of you on Wednesday nights when I’m sitting next to some of Slane’s most talented musicians and they humor me allowing me to pluck along on my mandolin….just like those lucky times I got to sit in with your circle of amazing musicians! Hugs to you and Mike and a big Howdy to the Augusta jam circle! 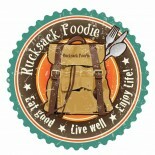 This entry was posted on November 20, 2012 by Rucksack Foodie in Inspiration, Ireland, People, Traditions and tagged Irish song, rucksack foodie, Slane Ireland, the Whole Hogg Farm.